It's 22:11 in Lake Havasu City, USA right now. 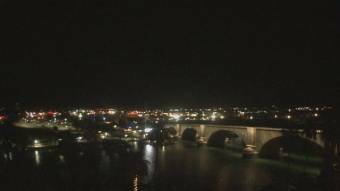 The London Bridge A webcam in Lake Havasu City, Arizona - camera location: The London Bridge. Kingman, Arizona: Hualapai Valley Observatory, 51.1 miles away. Prescott, Arizona: Burmister Building, 105.8 miles away. Chino Valley, Arizona: Weathercam, 107.9 miles away. Rancho Cucamonga, California: Rancho Cucamonga - South of Arrow Route, 112.7 miles away. Rancho Cucamonga, California: Fontana - North of Victoria Street, 112.7 miles away. Lake Mead National Recreation Area, Nevada: Lake Mead Marina, 114.7 miles away. Las Vegas, Nevada: Las Vegas Day School, 122.7 miles away. Las Vegas, Nevada: Las Vegas Springs Preserve, 122.7 miles away.